Enter your keywords or phrases into the address bar. 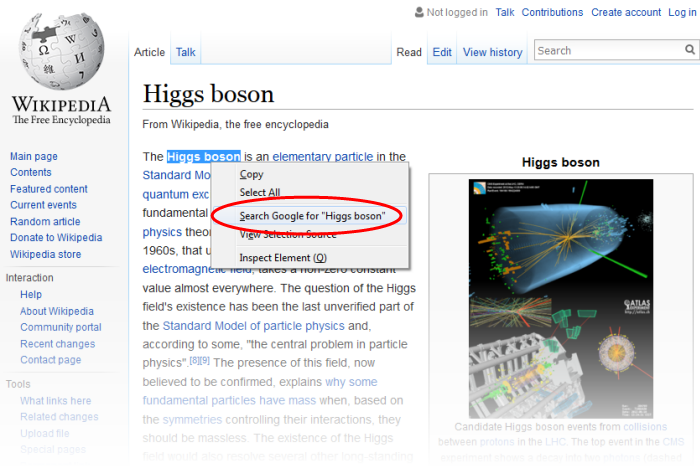 To search, click the arrow at the right side of the address bar or press 'Enter' on the keyboard. 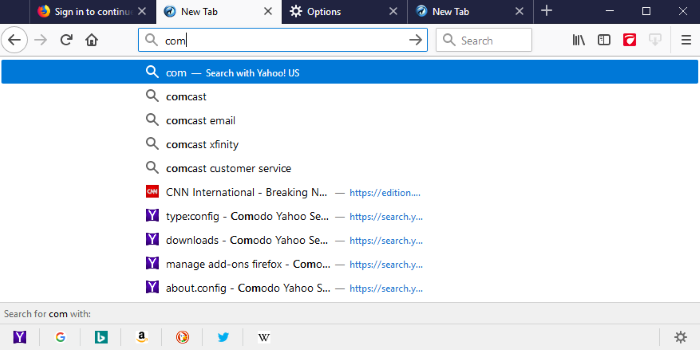 When you start typing a website address in the address bar, the browser automatically searches your browsing history and your bookmarks to provide auto-complete suggestions. This allows you to easily find pages you have previously visited. You can change the default search engine as per your preference. Please see 'Change Search Options' for more details. 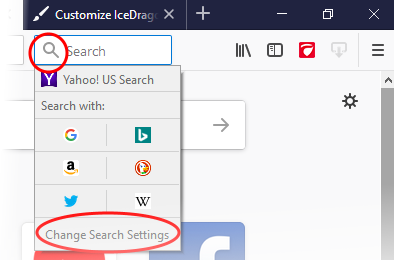 IceDragon lets you to split the search bar and address bar. 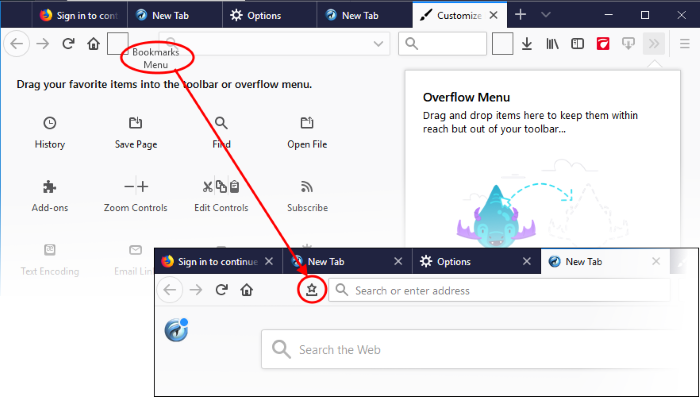 Drag the 'Search' box to the navigation tool bar. Click 'Exit Customize'. 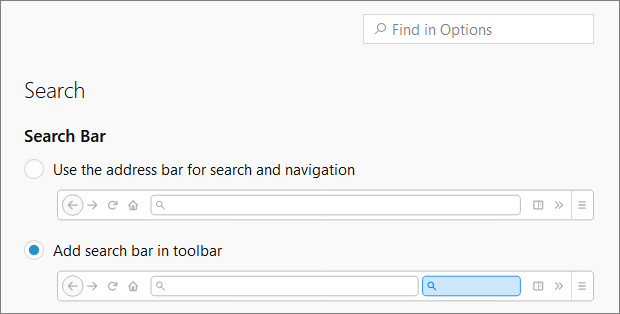 The search box will appear in the navigation tool bar. By default, the search box uses Yahoo/Yandex. To change this, click the magnifying glass in the search bar and select 'Change Search Settings'. To change this, click the magnifying glass in the search bar and select 'Change Search Settings'. 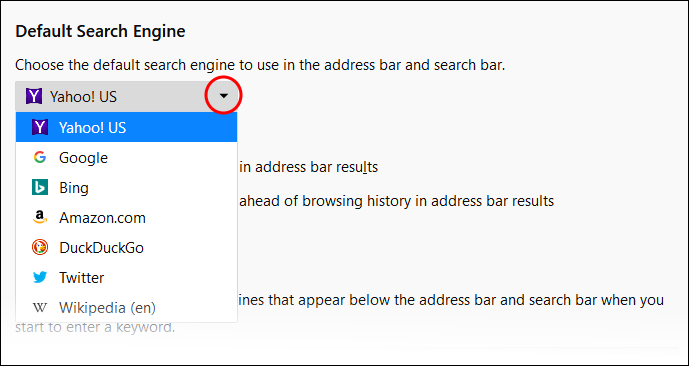 That will open the 'Default Search Engine' under the 'Search' tab in the 'Options' dialog with list of alternatives. Select your favorite search engine from the drop-down. Press Ctrl + F on the keyboard. Enter your search phrase and press 'Enter'. The first occurrence of the phrase will be highlighted on the page. To find other occurrences, press 'Enter' again or use the up/down buttons beside the search box. If you want to see all occurrences, click 'Highlight All'. Highlight the word/phrase using your mouse, right click and select Search [your default search engine] for “[selected keyword]”.